Do you have three kids with a fourth option in your future? 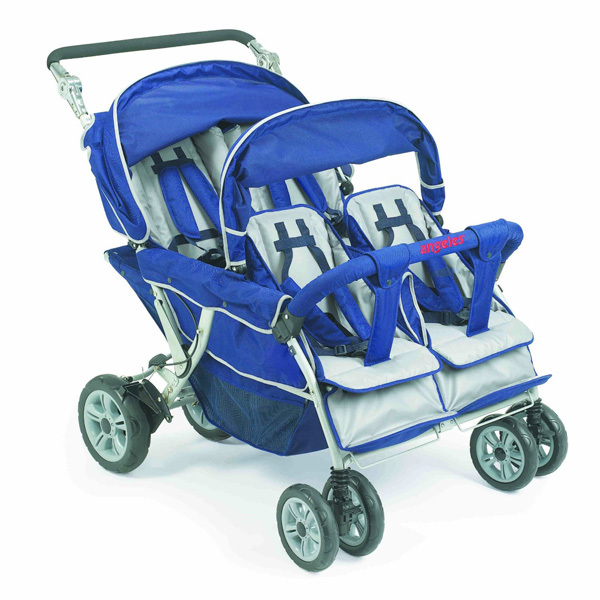 Then you may want to give the Angeles SureStop Folding Commercial Bye-Bye 4-Passenger Tandem Stroller a look to see if it’s a good fit for you and yours. According to a sign sewn into the stroller, this isn’t for infants. You’ve got everyone facing the same direction in two rows of two seats. Since it has room for four, it’ll be a little heavier than some of our other options and you may have some difficulty getting it in and out of doors. It’s got a great braking system that will stop this stroller on a dime. However, you’ll need a little extra oomph to depress the handle and keep it pushed down so the brakes don’t engage while you’re out for a walk. 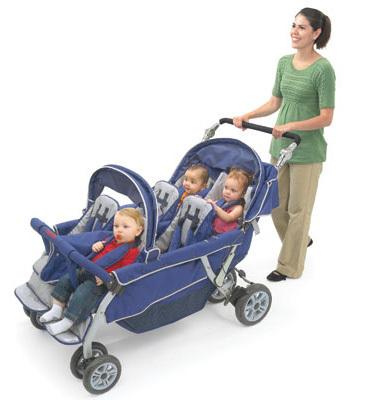 This is a very common stroller for big families and daycares. Most of the reviewers online and in stores tend to have services, though families also find it to be a great stroller for four little ones. Many people report that it’s wide but it still fits through the front door, so you’re not going to run into trouble with the standard doorway as you go about your day. Since it seats four, expect it to be a little bigger and heavier than the average stroller on our list. The company hasn’t published official numbers on how small it gets when it is collapsed, but it looks to keep the same width and length while losing about two-thirds of its height. It has great positioning for the babies. You can recline or sit them straight up and it isn’t awkward. It gives everyone a good amount of space, whether you’re pushing three or four. Users do note that it’s heavy and a bit hard to move when collapsed, but unfortunately that goes with the territory because of the size it supports. The heft is also present in the brakes, which some users said they’ve had to use a strap to keep the brake disengaged. Unfortunately that’s pretty dangerous and shouldn’t be tried by anyone. No-roll technology with the comfort-grip brake system. This means you have a bar on the handle that, when released, engages the break. If you want to push the stroller, then you need to clamp down on the bar and hold it down the entire time. 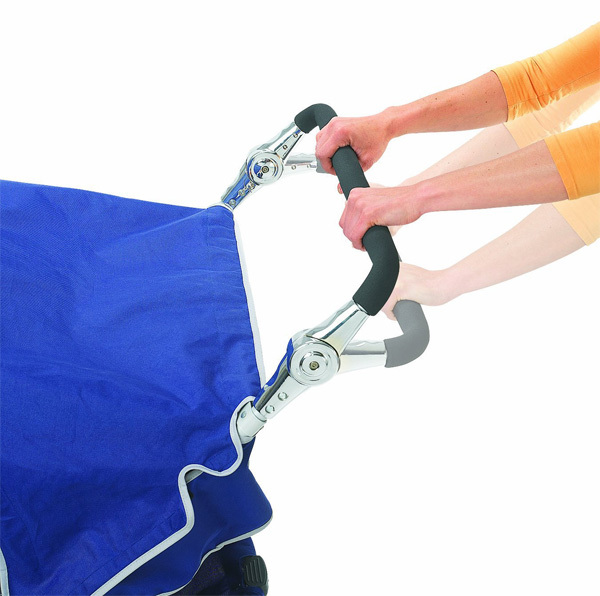 There’s a locking foot pedal brake for extra safety, which adds a layer of security when parking the stroller. 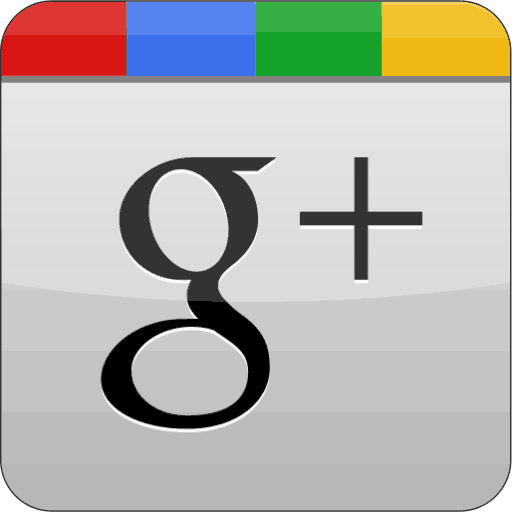 Once it’s put together, most users say it is simple and easy to use. The seats can move from laid back to upright very quickly, but it’s not something the kids can change themselves. 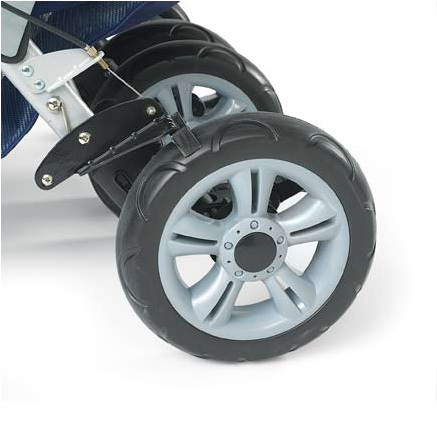 The tires are large and can move over rough terrain with ease. 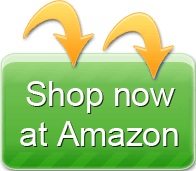 It offers a large storage option that some users say is easy to get to. You may need a small bag to make a few things easier to reach, but overall it seems to give you enough space that you’ll need. The $350 stroller has a lot of great reviews, so if you’re in need of the bulk it’s among the best we’ve come across. 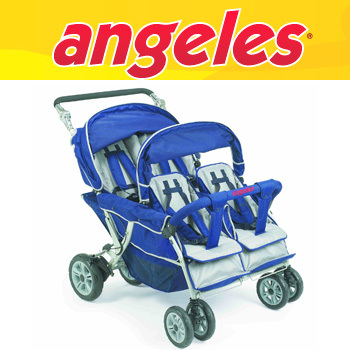 Angeles doesn’t list many accessories on its website, just part replacements and new seats for its larger strollers. Some users have found cup holders and small pockets for keys, but most have noted that they don’t need extra storage. This is the perfect stroller if you need to move around three or four kids, but are okay to carry any infant you’ve got. The only draw backs to this stroller are that it’s heavy and not designed for infants. 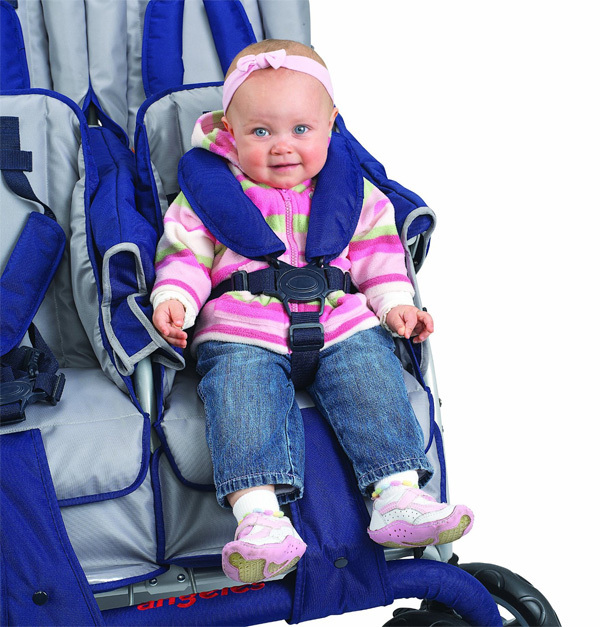 It reclines well and has a very sturdy harness that seems to keep everyone safe and secure. 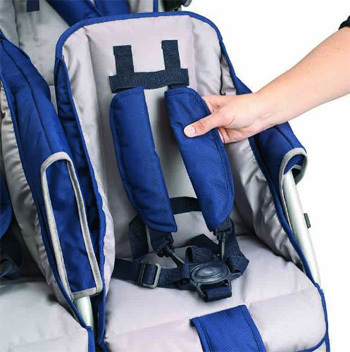 For people who run daycares, this is among the most-reviewed and best rated products around. They like the ability to go through most doors and lock everyone in facing the same direction. Just make sure you have a hand lifting its 77 lbs. if you’ve got a high car or if that amount of weight is tough for you. You’ll have to put it together, but most say the assembly is quick and easy. The stroller is not designed for infants, so the best answer is no. Some people have reported that they’ve used infant car seats with some success, but there’s no built-in support so this is a risk you’re taking. It can fit in many large trucks and mini vans, but it’ll end up taking most of the room you have in back. You’ll need to make sure you can lift it and load it into the van on your own, or have a team to help with the stroller when you take trips. Some users say it wobbles if the load is unbalanced. 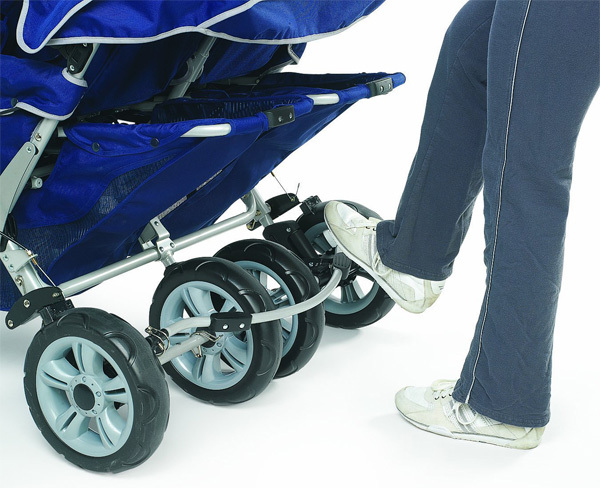 Because of the way weight is distributed in these types of strollers, you should load it front-heavy first. Having weight up front will help keep wheels from wobbling, even if you’re just toting three kiddos. 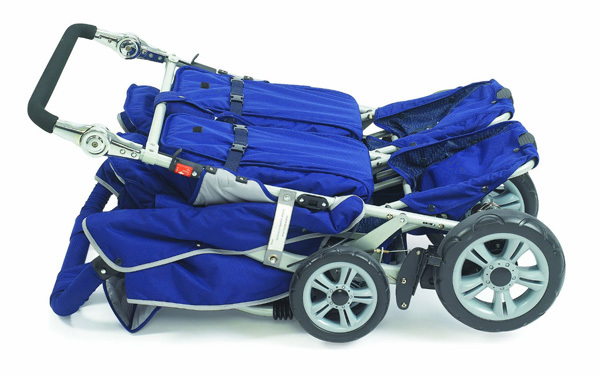 This is a great stroller if you need something to push around many kids. 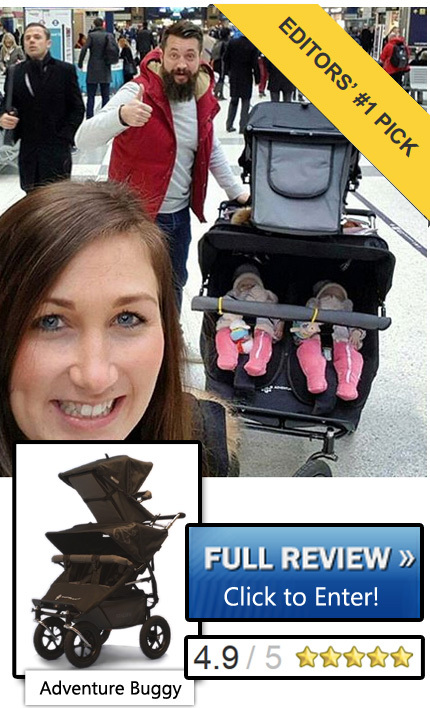 If you’re looking for carrying around three or four, it’s a really good stroller for you. The main drawback is its weight. If you can handle the weight and have space in a large vehicle (which you probably do if you’re filling all four seats), then you’ll this might be the best option for you today.